The Resident & Community Relations Committee will be held on Tuesday the 21st at 4:00 p.m. instead of Thursday the 23rd. The Board of Commissioners of the Authority (the “Board”) consists of nine (9) commissioners. 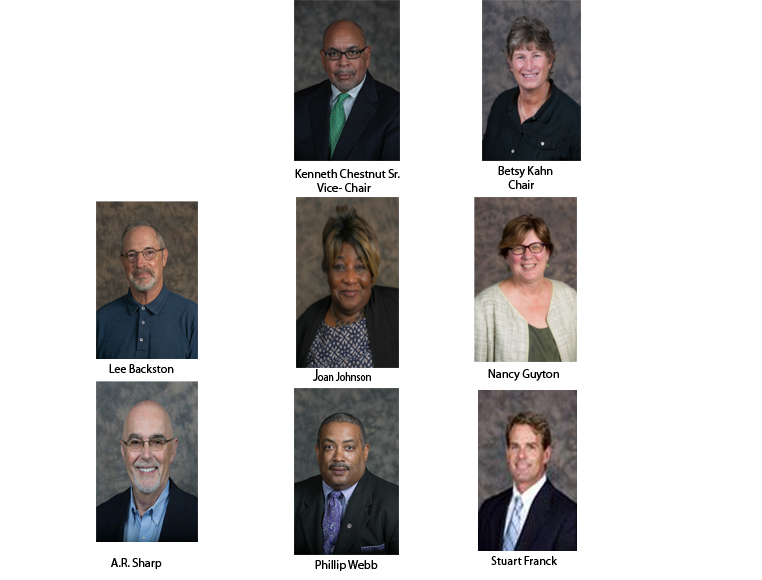 Each commissioner is appointed by the Mayor of the City of Wilmington. No commissioner may be a city official. At least one of the commissioners appointed is directly assisted by the Authority. Each commissioner holds office for a term of five (5) years or until his or her successor has been appointed and has qualified. Commissioners receive no compensation for his or her services but they are entitled to the necessary expenses, including traveling expenses, incurred in the discharge of his or her duties. A Chair and Vice Chair are elected each year at the Annual Meeting and hold office for one (1) year or until their successors are elected and qualified. Regular monthly meetings of the Board are held without notice at the regular meeting place of the Authority on the fourth Monday of each month at 4:30 p.m., except in the case of a legal holiday, in which event the meeting shall be held on the next succeeding secular day. The Annual Meeting of the Board is held on the fourth Monday of June.